ONCE H GRO S up." The artist should always be the student. 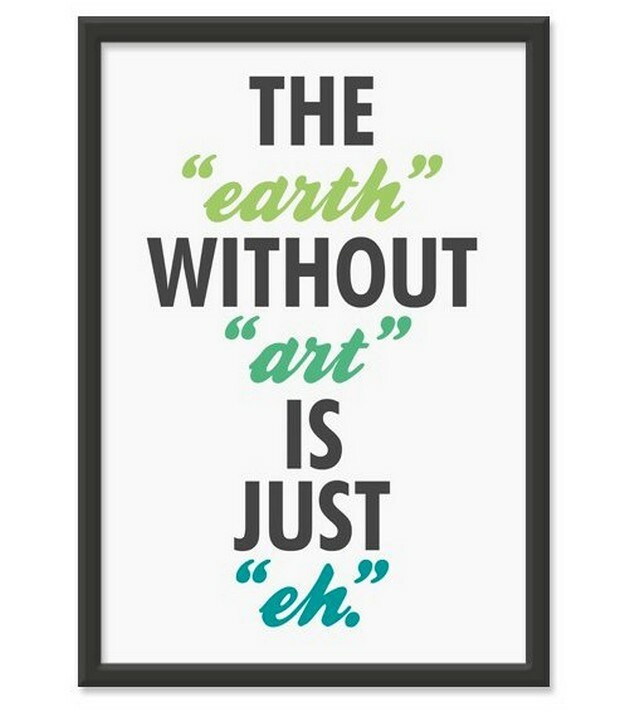 Anything is art if an artist says it is. Mark Ryden is my favorite visual artist. The hallmark of an artist is generosity. An artist should be as impartial as God. I originally just wanted to be an artist. The artist must say it without saying it. Nothing can stop an artist from creating. The true artist can only labor con amore. The artist secretes nostalgia around life. An artist, a man, a failure, must proceed. You become an artist to upset your family. Criticism? An artist wants praise. Praise. 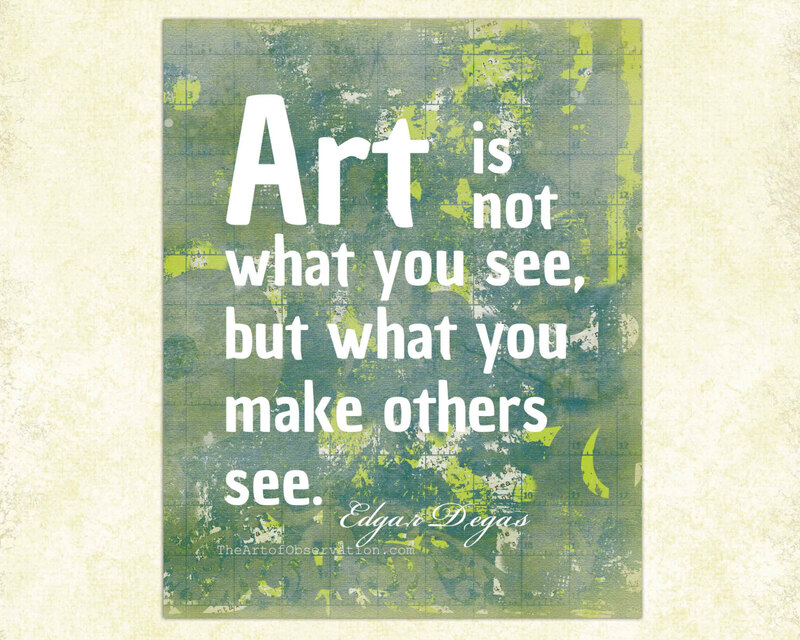 The role of the artist is to not look away. When one is an artist, what else can he be? The artist must know how far to go too far. When an artist becomes complacent, he dies. If you're an artist, you've got to prove it. The job of the artist is to point at things. An artist wears his work in place of wounds. The artist must be ecstatic about something. 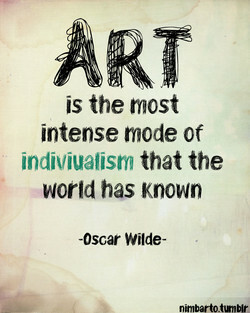 I'd love to be an artist that's multifaceted. The conclusion does not belong to the artist. 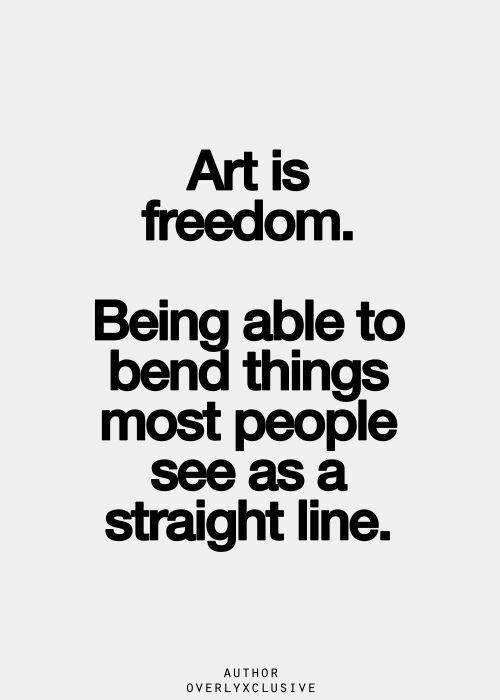 An artist must not feel under any constraint. What's any artist, but the dregs of his work? I am the greatest marital artist in the world. Purely by hard work, one can become an artist. Art can sometimes be separate from the artist. I never considered myself a performance artist. Dreams form the bristles of the artist's brush. The artist has to be a guardian of the culture. Photography is art when it's used by an artist. To an artist a metaphor is as real as a dollar. 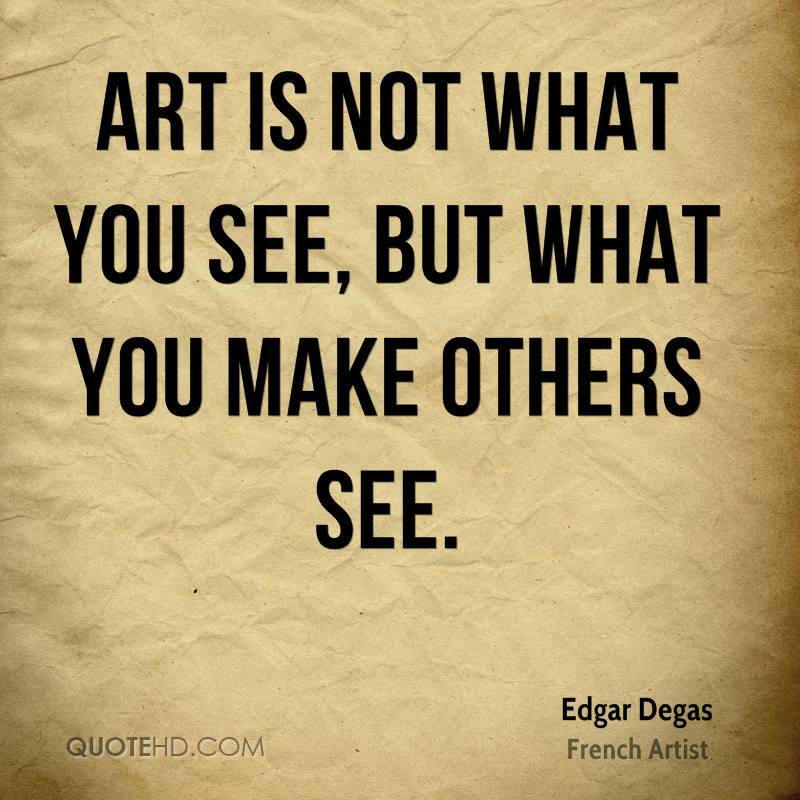 perhaps the only magician we have is the artist. Every great artist has the sense of provocation. The truly original artist invents his own signs. To be an artist is first to be a manual laborer. 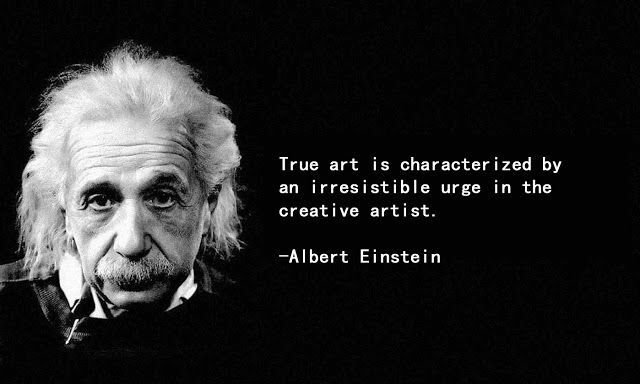 The artist does not really create; he discovers. The more an artist works the more there is to do. You are both a work of art and an artist at work. An artist is no bigger than the size of his mind. 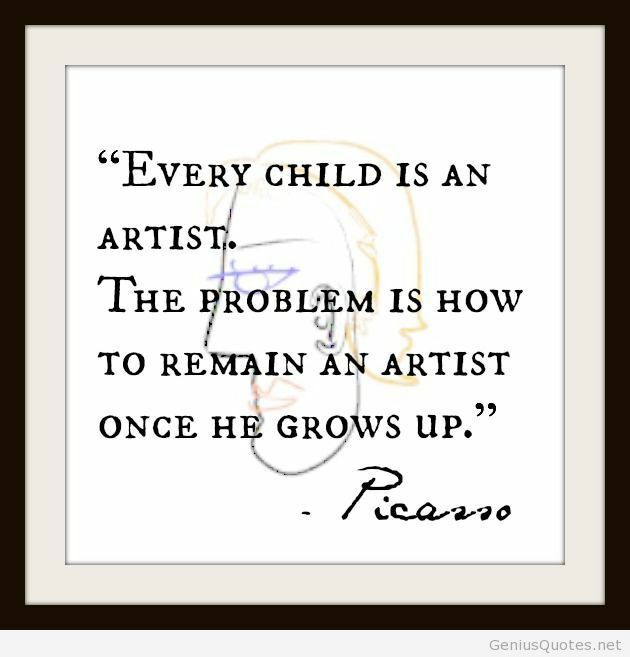 I certainly don't want to be an angry old artist. 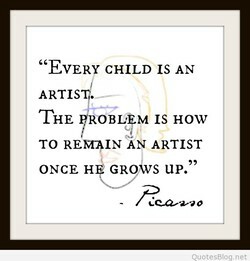 Our internal artist is always our creative child. If you're not a successful artist it's your fault. I'm an artist by trade and an author by necessity. I'm inspired by almost every artist I come across. She was an artist. She held opposites in her mind. 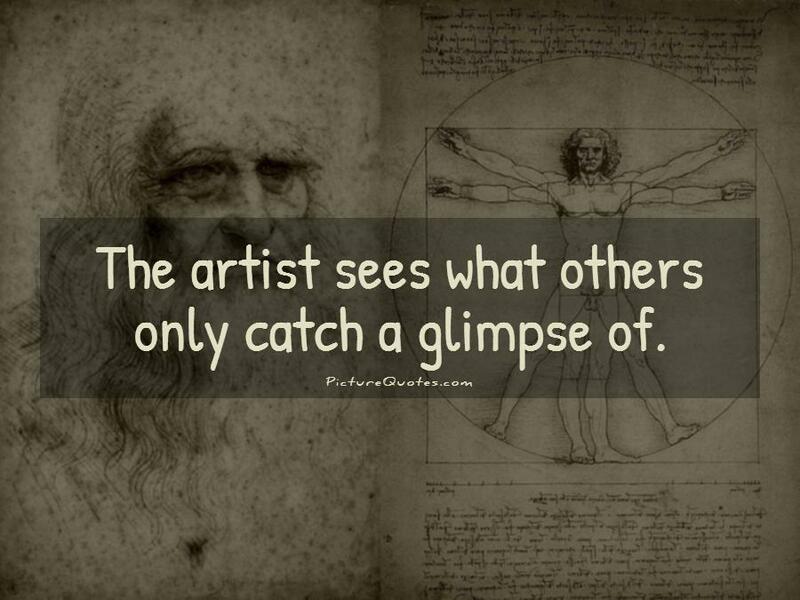 If an artist has talent, he needs no other critic. I consider myself more a craftsman than an artist. Never become an artist if you can't learn to draw. Every artist has a very particular sound and style. 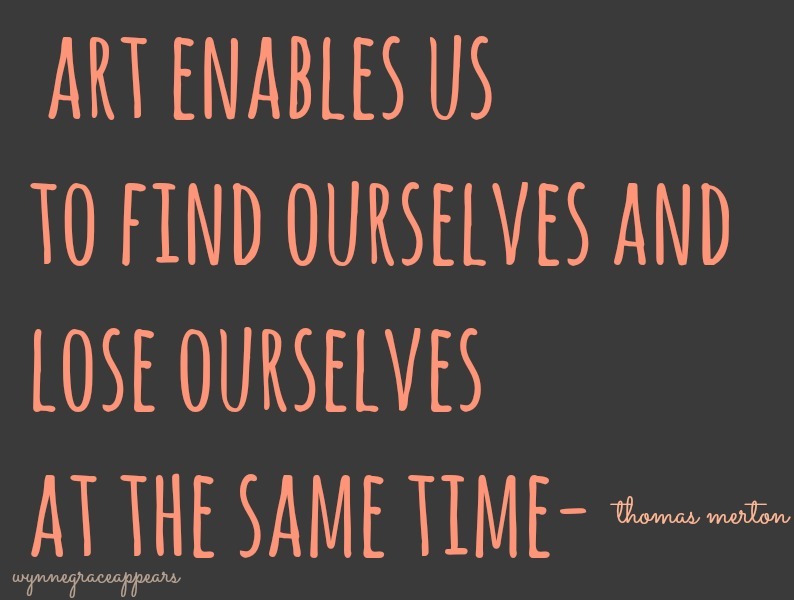 An ability to choose is a necessity for the artist. I'm an artist. I'm interested in how art gets made. 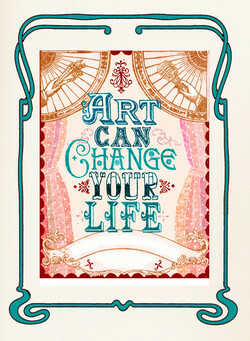 The artist has tremendous power to change the world. In every work of art, the artist himself is present. 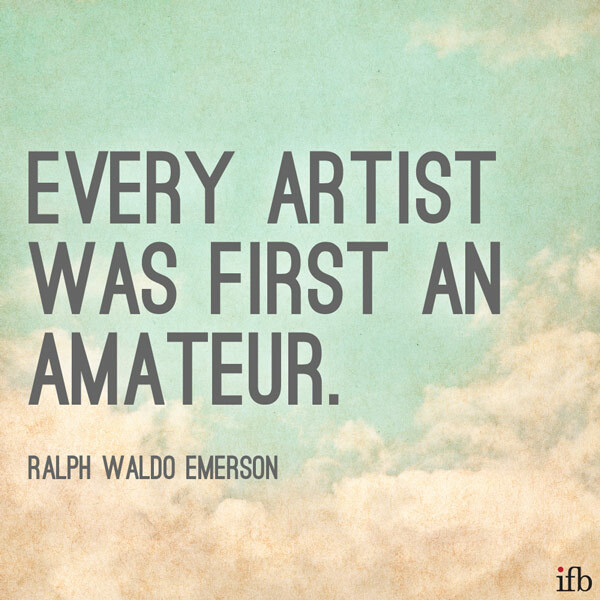 Judging your early artistic efforts is artist abuse. GalÃ¡s is a great artist with a very powerful voice. On radio, you're an artist. On TV, you're a servant. 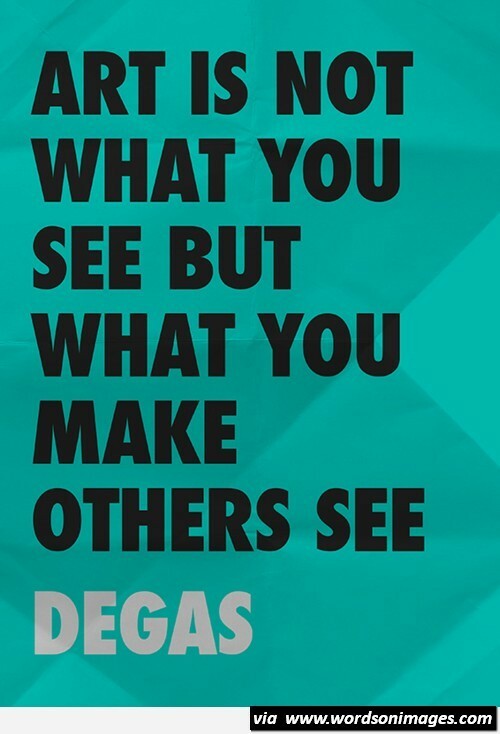 An artist sees things not as they are, but as he is. 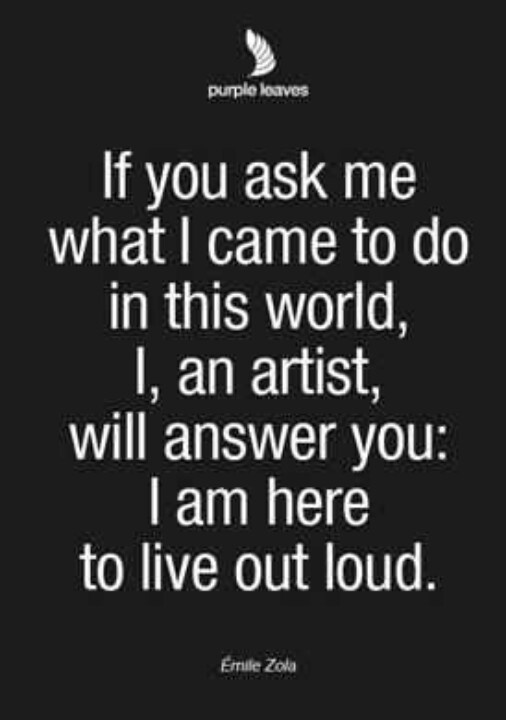 I am an artist at living - my work of art is my life. I don't think an artist does well without limitations. When I grow up I would like to be an artist in France. I never really was a grime artist. I'm just an artist. As a new artist you should ignore trends at all costs. Time is not a great artist but weakens all he touches. Imitation is the greatest danger of the young [artist]. The artist lives in an atmosphere of perpetual failure. I really don't like being referred to as a folk artist. I am really the most controversial artist in the world. 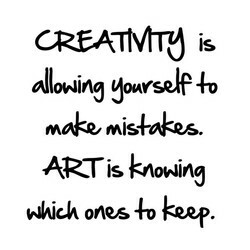 Think like an artist. Dress like an insurance salesman. I'm not opposed to commerce, even though I'm an artist. Being an artist is supposed to be a scam, not a career. Painting cannot be the only activity of a mature artist. An architect is not an artist but an optimistic realist. 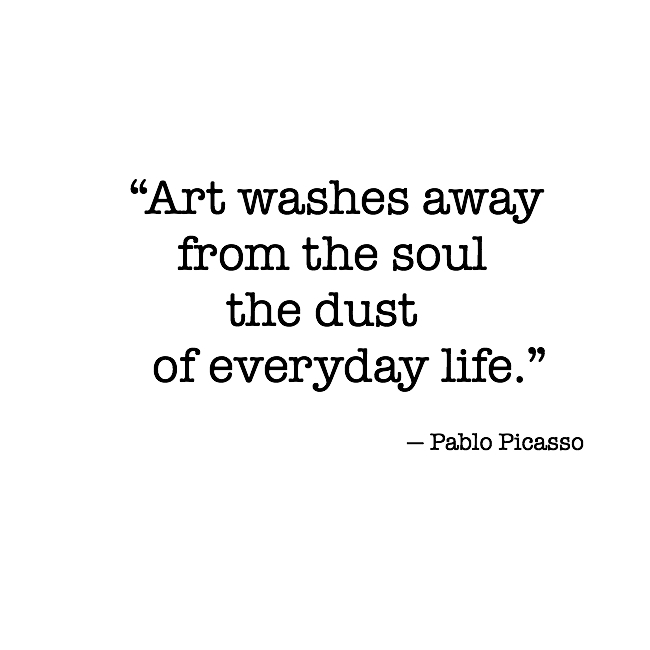 Art is the expression of the artistÂ´s overflowing soul. Every master knows that the material teaches the artist. My mom is an artist and my own fiction is deeply visual. You don't need to be famous to live a life as an artist. I've never met an artist whose spirit didn't want to fly. Nothing can come out of an artist that is not in the man. The agitator seizes the word. The artist is seized by it. As an artist, you reach for the pen that's full of blood. Vulgarity is not as destructive to an artist as snobbery. An artist who doesn't have any audience is not an artist. He's a pagan! I'm an artist! We're naturally sympathetic! I love creating images, of course, because I'm an artist. The better the artist, the more vulnerable he seems to be. 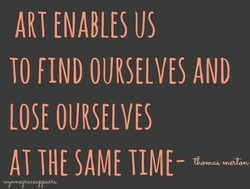 An artist has got to be constantly in a state of becoming. 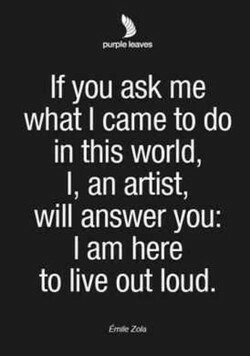 You are an artist. 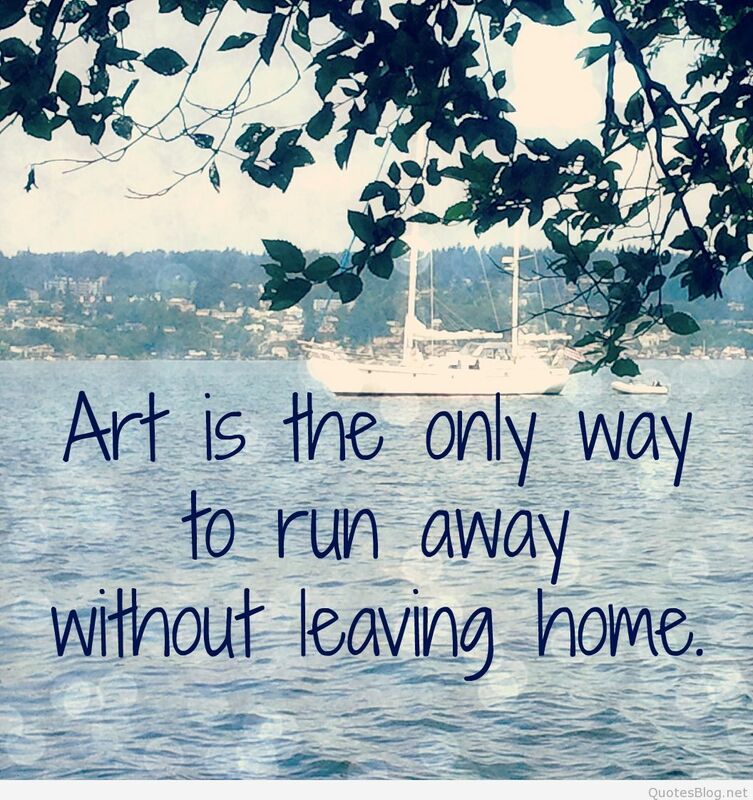 What work of art will you leave behind? I think the job of an artist is to be honest and fearless. 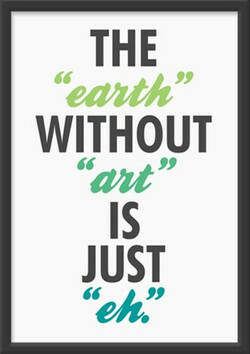 No artist will tolerate the world for one second as it is. An artist's job is to be interested in things as they are. The artist's job, I think, is to be a conduit for mystery. Arrival = Prison, and the artist must never be a prisoner. I am not an Earth artist, I'm totally involved in the sky. The artist seeks to record his awareness of order in life. What I say to an artist is, 'When you can't paint - paint. You will never make it. 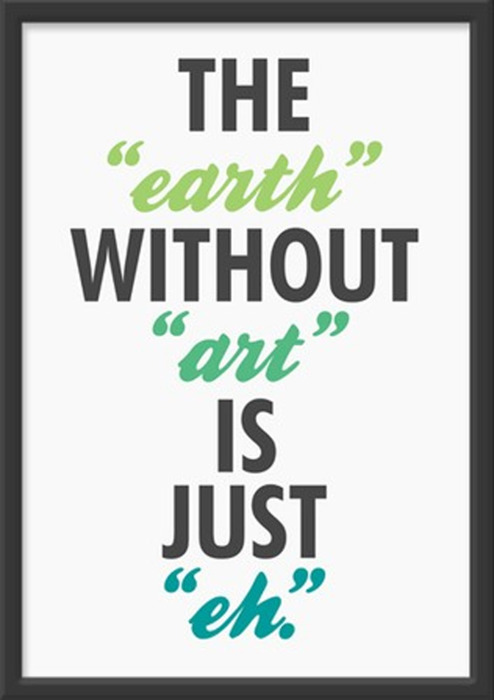 "It' doesn't exist for an artist. 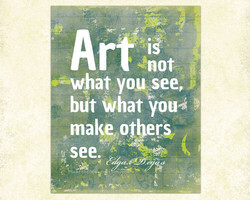 A true artist is someone who gives birth to a new reality. A work is finished when an artist realizes his intentions. Metaphors. This was the cost of making out with an artist. I'm not an industry artist - I'm an artist in the industry. The artist is not a man who describes, but a man who feels. An artist is someone with the gift to light up a dark room. 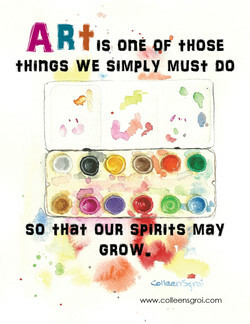 All artist are of necessity in some measure contemplatives. I just want to give the people 100% of myself as an artist. 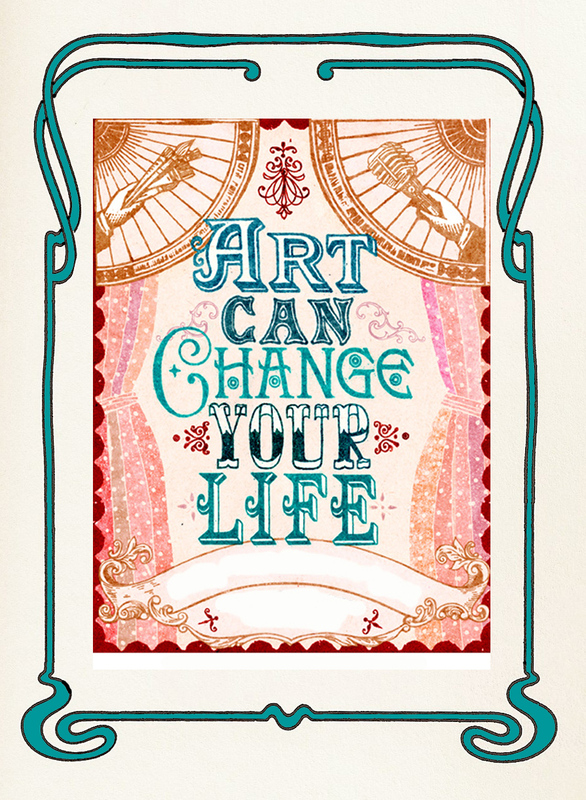 I became an artist because I couldn't become anything else. I'm both an artist / filmmaker and a human rights defender. 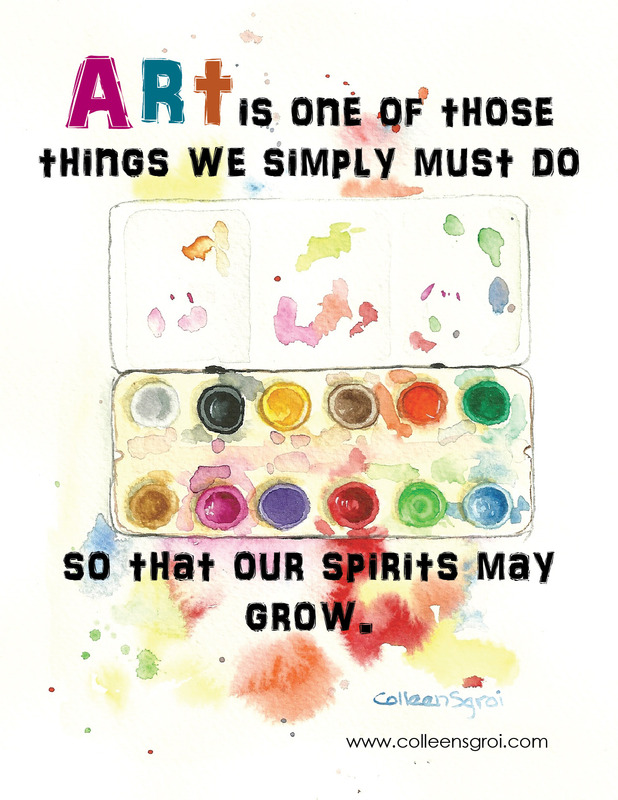 The ability to play is essential to being a creative artist. Sometimes you can't see the wood for the trees as an artist. I've told you, nobody becomes an artist unless they have to. I have 12 paintings of Kaufman art. He is an amazing artist. 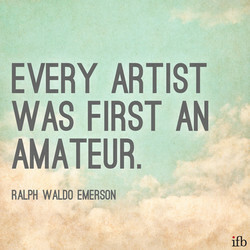 If you're going to be an artist, you need to be an original. I realized what an artist is and what it is to be an artist. To an artist, creating an image means being in love with it. I certainly see myself more as a craftsman than as an artist. It is an artist's duty to be on the wrong end of the see-saw. I've been a jazz artist playing pop and R&B my entire career. I tell each artist they have to grow toward a revenue stream. No artist, if he has original talent, can paint like another. I just want people to see my growth as an artist, and singer. I only know this - that you canât give advice to an artist. My God! How terrible these money questions are for an artist! I'm not a Reggaeton artist and I'm not a Crunk artist either. 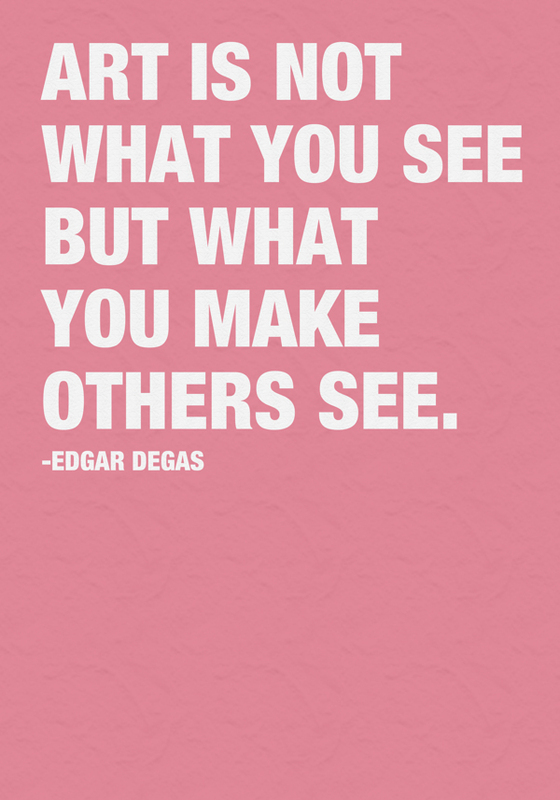 You're the artist - you make the music that you want to make. Poverty is the great reality. 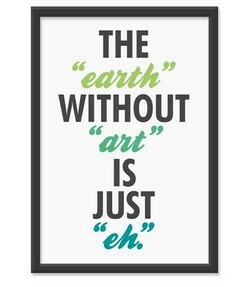 That is why the artist seeks it. An artist is only an ordinary man with a greater potentiality. It's an artist's right to rebel against the world's stupidity. I am a human being and an artist: I really, simply, surely am. I don't own a camera, so I travel with a police sketch artist. An artist may visit a museum but only a pedant can live there. Making the inner meet the outer is the function of the artist. 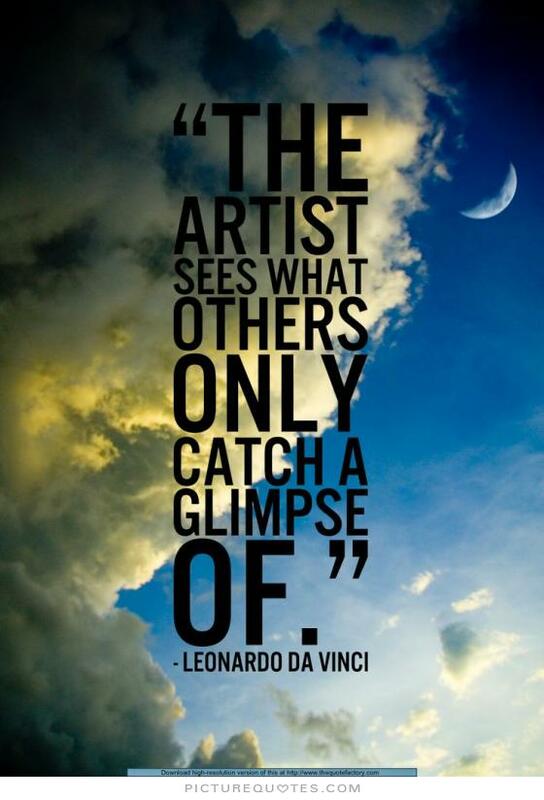 An artist's concern is to capture beauty wherever he finds it. That's part of being an artist; you have to be that sensitive. An artist must eat sparingly and give up a normal way of life. Art is what is unnecessary, but necessary only to that artist. I'm an artist and you can fantasize about me however you want. Every man who is not an artist is a traitor to his own nature. I'm an artist and I get very attached to my own little ditties. The rÃ´le of the artist is that of a soldier of the revolution. I'm not sure how we exist, as an artist, without country radio. The criminal is a creative artist; detectives are just critics. The responsibility of the artist is to transcend the human ego. When you're an artist, all you're trying to do is self-express. I am a New Yorker, one; I'm an artist, two; I'm a woman, three. If you're going to be an artist, real life is your inspiration. An artist should let his style evolve naturally, spontaneously. My responsibility as a poet, as an artist, is to not look away. An artist's job is to surprise himself. Use all means possible. As an artist I just think comedic actors are really underrated. I'll just let my work speak for itself, as every artist should. What made my mind go free is that I wanted to become an artist. An artist who has no faith is like a painter who was born blind. There was never any effort made out there to improve the artist. In a sick world, it is the first duty of the artist to get well. An artist is usually the handyman in the service of inspiration. 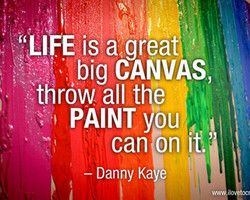 Our life is a work of art. 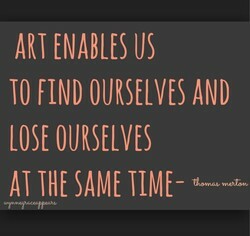 We must seek always to be its artist. The task of the artist is to make the human being uncomfortable. 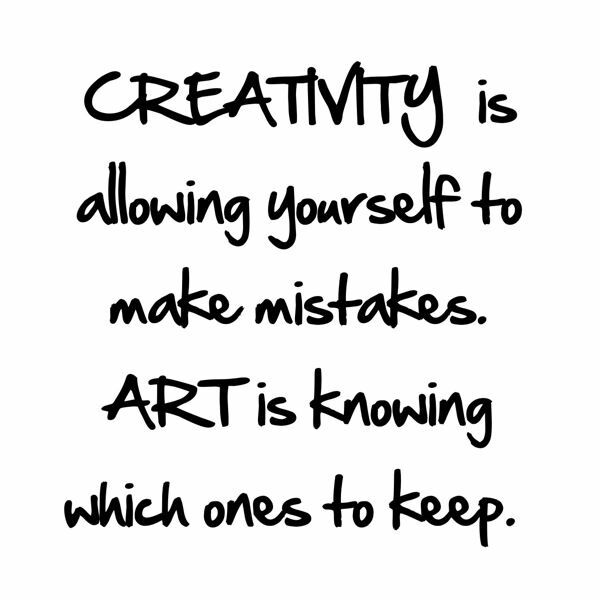 The responsibility of an artist is to be honest with themselves. 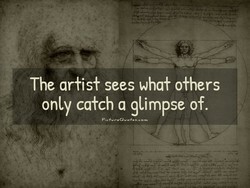 I always say that intuition is the number one tool for an artist. 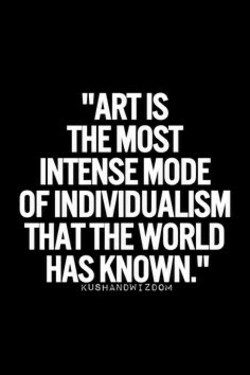 No artist is normal. Who happen to be normal cannot be an artist. I thought that I was an artist. I no longer think about it, I am. I always made stuff but never thought, I'm going to be an artist. It's a privilege to work with an artist that you really care for. The time-honored role of the artist [is] to speak truth to power. If a man wants to be an artist, he should never look at pictures. The artist is a kind of prison from which the works of art escape. You can't make a movie about the artist without shooting outdoors. It's a lot easier to say you're a comic than a performance artist. If the photographer is not a discoverer, then he is not an artist. 'YOU AREN'T TALENTED' - it cuts right to the fear of every artist. Send light to the dark hearts of men, that is the duty the artist. I am only an artist, my job is to make drawings not to make sense. The artist as businessman is uglier than the businessman as artist. I'm just being the artist that I would have loved if I was a child. When you're an artist, you have a platform that can reach millions. There is no trajectory so pathetic as that of an artist in decline. Nature is simply the opportunity for the artist to express himself. 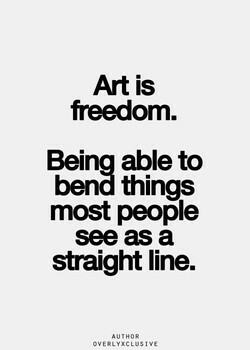 Every artist has limits. No one can do everything. It's impossible. How does the artist function as poet-slash-witness-slash-trickster? I want to be a contemporary artist and at the same time a romantic! I'm a trained martial artist. My parents were both martial artists. 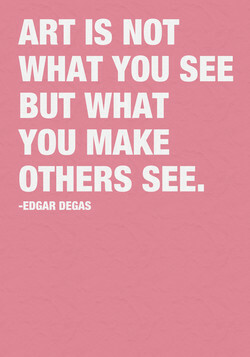 The artist is a person who is expert in the training of perception. 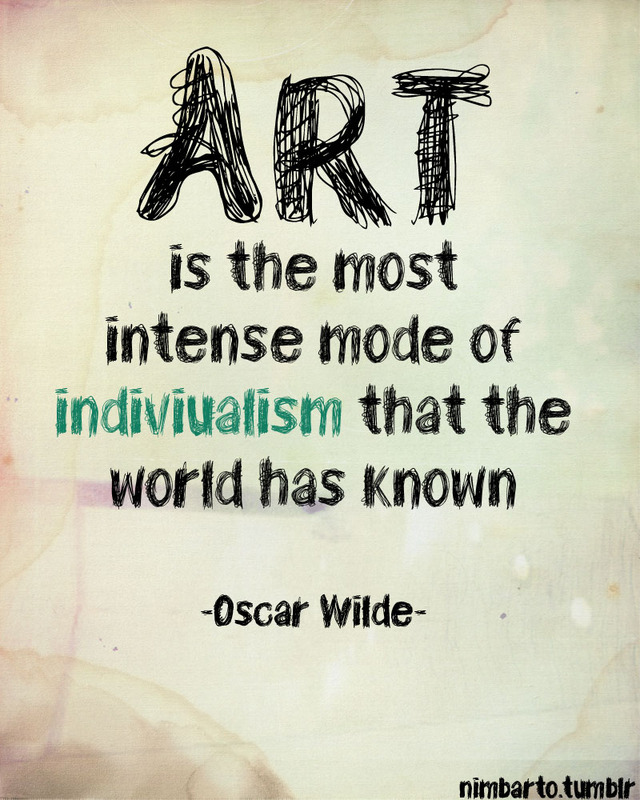 In order to be an artist, one must be deeply rooted in the society. The artist's life nourishes itself on the particular, the concrete. You really need to stop Googling yourself and start being an artist. 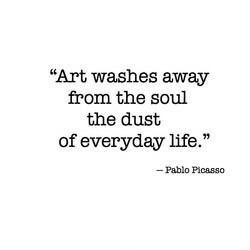 Being an artist is not only what you do, but how you live your life. The artist is a god, but he is also an idiot. That is the human way. Why should I deem myself to be a chisel, when I could be the artist? To the artist, the forest is an asylum of peace and dancing shadows. Hypnotically haunting sounds from a true artist that dares to dream. An artist's job is to articulate what might otherwise be incoherent. Trouble is said to be good for an artist's soul but almost never is. For me, being an artist with a high profile is a good thing for art. I never wanted to be a professional artist; I think that's limiting. It's hard to be an artist. It's hard to be anything. It's hard to be. 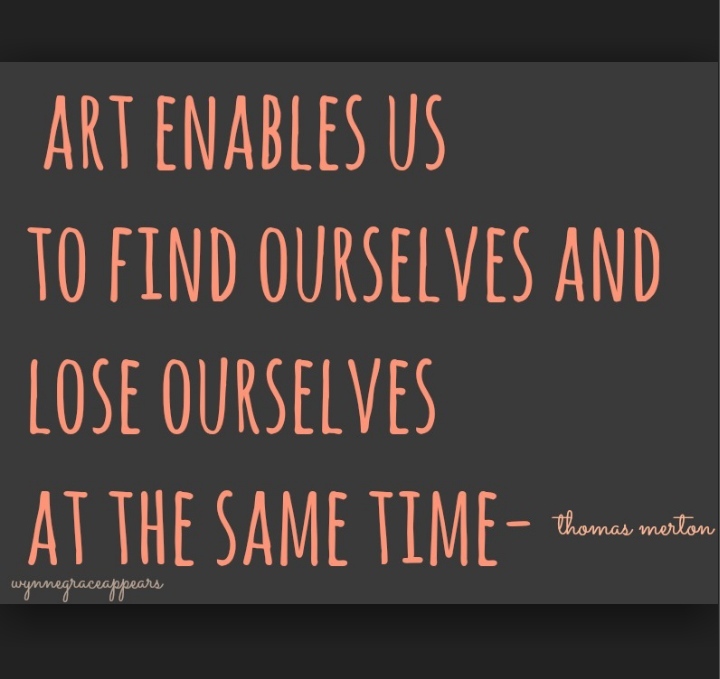 Isn't it wonderful to be an artist whose works have mostly been lost? Piracy doesn't hurt an artist unless the artist puts out a bad album. The modern artist, by nature and destiny, is always an individualist. The artist's morality lies in the force and truth of his description. The artist should not be satisfied to only play the part of a mirror. 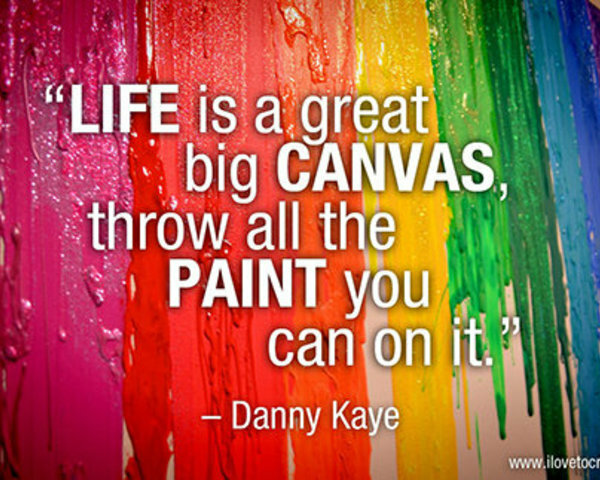 It does take a long time and a lot of paint to become our own artist. I've found that limitations can be an artist's best friend sometimes. Prince.. a true artist in every sense of the world.Gone way too soon. 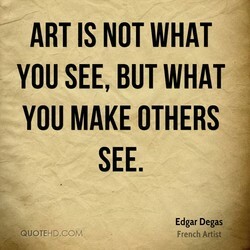 Nowadays, an artist is someone who makes art mean the things he does.